^ Sperling, Bert; Peter Sander (May 8, 2006). Best Places to Raise Your Family: The Top 100 Affordable Communities in the U.S.. Frommer's (1st ed.). John Wiley & Sons. ISBN 0-471-74699-1. http://www.frommers.com/bookstore/0471746991.html. 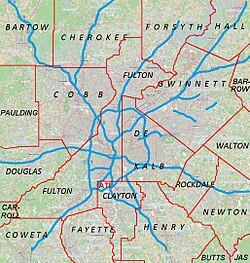 ^ "Roswell BranchAtlanta-Fulton Public Library System. Retrieved on February 24, 2010. Darlene M. Walsh, ed (1994) . Roswell: A Pictorial History (2nd ed.). Roswell, Georgia: Roswell Historical Society. ISBN 0-9615854-2-0.